With 135 years of experience in air conditioning & refrigeration Noske-Kaeser is a global leader in HVAC-R systems. 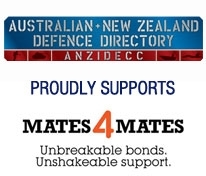 Noske-Kaeser has supported the Australian and New Zealand Navy’s for over 25 years. Draeger Australia supplies, manufactures and services a complete range of products for Government departments, including Respiratory, Detection & Medical Protection devices. Locally assembled products incorporate a high level of Australian content. Roxtec innovative entry seals are used in projects worldwide to protect life and assets. Our cable and pipe transits have been tested and proven against multiple risks in military and defense systems.